Africa’s industry-leading music label, Mavin Records has entered a multi-million dollar equity investment partnership with Kupanda Holdings. While the actual amount invested was not disclosed, Kupanda Holdings, a joint venture between Kupanda Capital and TPG Growth - a significant investor in the likes of Spotify, CAA, Uber and AirBnB will give Mavin Records the lift its needs to go global. According to Mavin Records, the firm intends to scale operations to meet the rapidly growing international demand for African music. The deal will afford the label an opportunity to increase its artists’ roster, and strengthen its services across A&R, touring, marketing, distribution, publishing, and partnerships. Since its establishment in 2012, Mavin Records has been a platform for growth in the music industry and according to Mavin Global President and Founder, Michael Collins Ajereh (a.k.a Don Jazzy), the mission is to grow Mavin Global into the music powerhouse of Africa. Mavin has been an industry leader in leveraging digital platforms like Youtube, Twitter and Instagram, both to reach local audiences and grow significant fanbase among African diaspora in the US, Europe, and among the beneficiaries are Tiwa Savage, Korede Bello, Johnny Drill, DNA, and Reekado Banks. This investment will enable the company to strengthen this advantage as it develops brand partnerships that support its artists’ values and stories, the statement disclosed. Meanwhile, one of Mavin’s signee, Korede Bello, sees the partnership between Mavins Global and Kupanda Capital as a welcome development that promises growth for artistes under Mavin Records. According to Tega Oghenejebo, COO of Mavin Records discussions with Kupanda about investing in Mavin has been ongoing for over 3 years. He also revealed that Mavin had also gone through a series of due diligence culminating in Kupanda’s decision to invest in the label. “Without the structure we have, this deal would not have come through,” he told Nairametrics Founder, Ugodre. With this investment, Mavin can not invest in signing up artists not just in Nigeria but across Africa. The funds will also be utilized to invest in music production and other promotional activities. Nigeria is the most populous country in Africa with a population of 180 million, and its music industry is projected to grow rapidly with increasing smartphone penetration and the popularity of Youtube, Twitter, Instagram and other digital streaming platforms. Across Africa, in cities like Lagos and Abidjan, the market for live shows is increasing as well. Meanwhile, according to the most recent publicly available data from industry trade body, IFPI, the global recorded music market grew by 8.1% in 2017, reaching $17.3 billion on the strength of digital streaming revenue. That growth is expected to have continued in 2018, presenting an excellent environment for Mavin to market its music globally. In a statement by Kupanda Capital, the company believe Mavin Global is well positioned to bridge the gap between Nigerian music and global market, with a record label that will accelerate the promotion of African popular music to the world. “between don jazzy’s leadership in defining the sound of modern afrobeats and developing top african artists, mavin global has a unique advantage and opportunity to build the record label that will accelerate the promotion of african popular music to the world. we are impressed by the mavin team’s experience and are pleased to partner with them in their next phase of growth.” – bobby pittman, co-founder and managing partner at kupanda capital. Nairametrics understands Kupanda may have taken a major stake in Mavin giving it significant say in the strategic direction of the company as well as operations. We also understand this investment could be a precussor to further investment in the record label. Mavin Records is Africa’s leading record label. 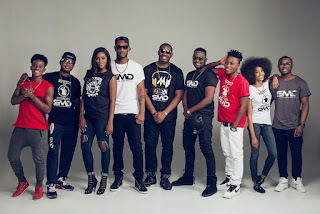 Founded in Lagos in 2012 by legendary producer Michael Collins Ajereh (Don Jazzy), Mavin has produced some of the iconic artists and songs of this decade and has shaped the sound of Afrobeat music. Its roster spans genres from Afrobeats to alternative rock to rap. Current artists include Tiwa Savage, Korede Bello, Johnny Drille, Di’ja, D’Prince, Dr. SID, Ladipoe, DJ Big N and DNA. Kupanda Holdings, on the other hand, is a joint venture between Kupanda Capital and TPG Growth. TPG Growth is known for its ability to grow and scale businesses, and TPG’s investments include media heavyweights like Spotify, CAA, STX, Vice Media and Cirque du Soleil globally, and TRACE media in Africa.